BURGOS, MARCH 13th 2019. – Spanish Prime Minister Pedro Sanchez visited the headquarters of the Institute of Technology of Castilla y Leon (ITCL) on March 13th. Sanchez was given a tour of the centre and an introduction to the work and research undertaken there over the last 30 years, since its birth. The centre is a model for its research and development on a regional and national scale. During the visit, ITCL CEO, Francisco Javier Cobo, and ITCL manager, José María Vela, accompanied the prime minister. Together they paid a visit to the facilities of the centre located in the Villalonquéjar industrial estate, in order to see the work that takes place in this centre that has become a national benchmark in much of Europe. 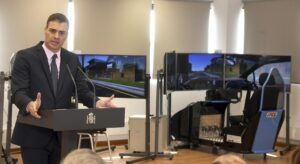 Sánchez was also introduced to the work done by the Department of Virtual Reality and Augmented Reality. This team of 15 professionals demonstrated the testing process of the projects to Sánchez who was particularly interested in learning about the Simusafe Project. This forms part of the Horizonte 2020 programs, and analyses the behaviour of drivers, such as cars, motorcycles, and bikes, with virtual reality simulators. Sánchez also met the people in charge of the Department of Energy. They introduced the Spanish Prime Minister to their project about energy efficiency in industrial refrigeration facilities. The system, that uses intelligent energy control and optimization, is already used by large multinationals in Spain. At the end of the tour, Sánchez, got to know the project at the forefront of ITCL with the head of Artificial Intelligence, Javier Sedano. This project focuses on monitoring the health of elderly patients by checking their blood pressure, urine levels, as well as levels of glucose and oxygen. 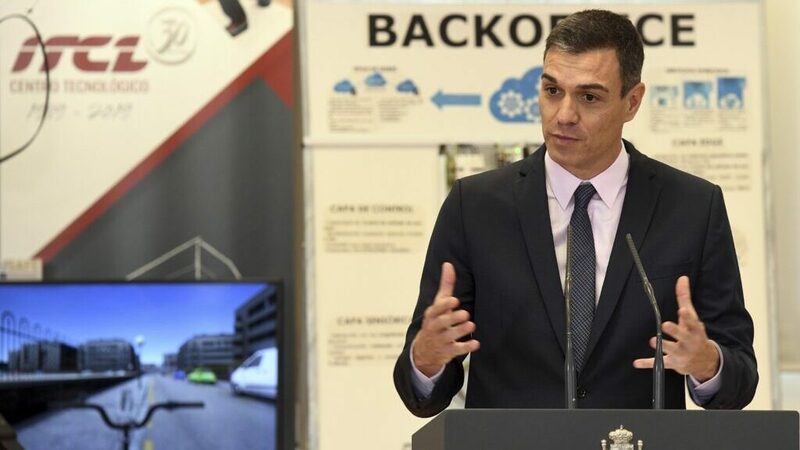 In his speech, the Spanish Prime Minister highlighted the potential of the Fourth Industrial Revolution to reverse the depopulation of small Spanish towns. Sanchez highlighted what he termed, “the luck” of having centres such as the Institute of Technology of Castilla y Leon, which creates jobs to keep the first level engineers local and face the challenges posed by Industry 4.0. In relation to this, Sanchez stressed the need to “to not miss the boat” of this Industrial Revolution, but in fact to lead it. The objective, he said, should therefore be to both strengthen the primary sector and complement it with a leading innovation industry. This innovation should unite the nation´s economic, social and productive sectors. “An innovation capable of being a magnet for the region, the province, and also the country”, Sanchez said. Sánchez also praised the leadership of the ITCL in the development of energy efficiency technology and recognised the various awards and commissions received from the European Union. These awards intend to advise large multinationals to make their processes more sustainable. “The fight against climate change will have two fundamental points: citizen awareness and scientific and technical progress,” he concluded.